Antsyrev wrote: Hi all! Sorry im noob, but my char is deleting? whats wrong? It seems I am always connecting to servers in the US. It's working fine, but I'm from Romania, so I'm wondering if I would get even lower latency if I connected to a Czech/German one. Is it really connecting to the fastest one? Type /servers in chat to bring up a list of available servers. They will each have a number next to them. Then type /gs # where # corresponds to the number of the server you want. A message should appear that says, Preferred gs set to #. Future games you make should be on that server. If you don't like that server you can choose another from the list and try again. is paragon rw still working? 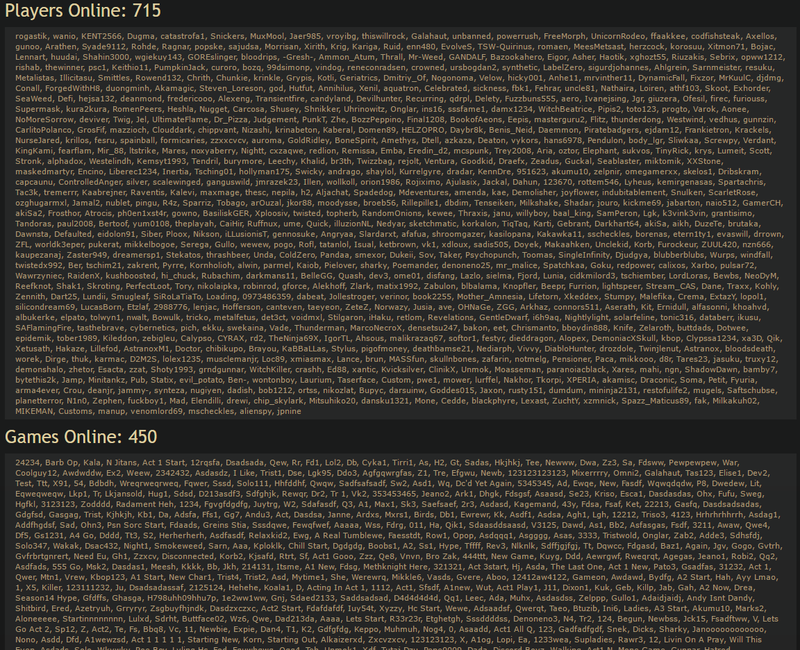 More than double the # of 120+ chars. in S14 than S13. Damn.